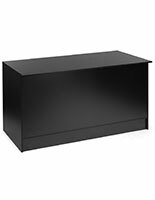 This register stand is a complete 72" wide customer checkout station with workspace and storage for employees and equipment. 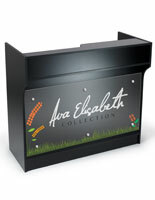 Each 42" tall fixture offers extra height, as well as an 8" wide check-writing surface. 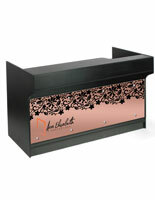 The cashwrap stand's cutout well is designed to keep cashout equipment out of the way and reduces tampering or damage. 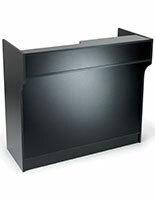 The front ledge extends towards the customer, giving them extra space to complete their transaction, while allowing the recessed work surface to be used by employees. 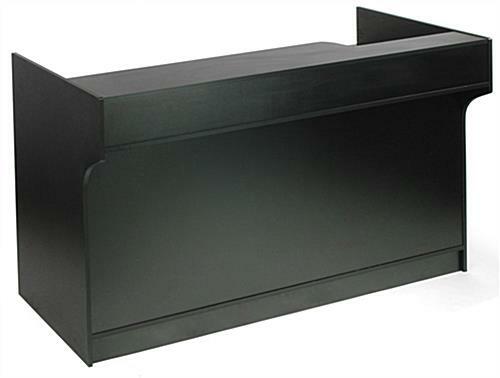 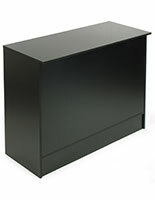 This checkout stand is manufactured with black melamine and includes a rear pull-out drawer and two adjustable shelves. 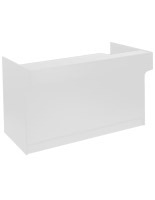 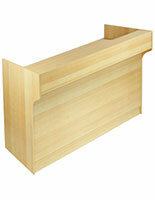 The shelf space is ideal enogh for storing accessories and supplies such as bags, wrapping tissue, or other items. 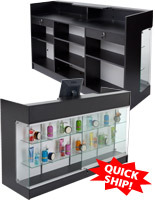 This black retail stand is part of our MRC Line of economy sales and service furniture. 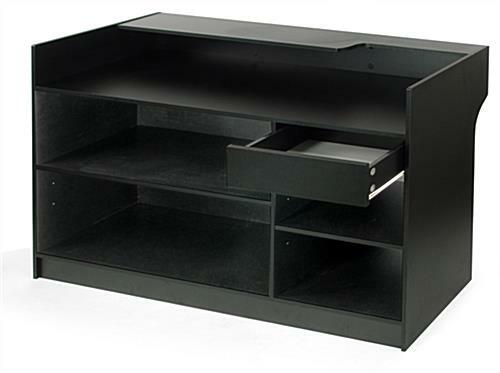 It can be used on its own or in conjunction with other fixtures to create multi-function counter islands.